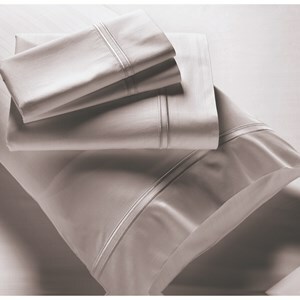 The Elements Sheets-Bamboo Full Sheet Set by PureCare at Sadler's Home Furnishings in the Anchorage, Fairbanks, Sterling, Alaska area. Product availability may vary. Contact us for the most current availability on this product. Add a PureCare Elements™ Bamboo sheet set to your bed and enjoy the soft sleep surface that it provides. 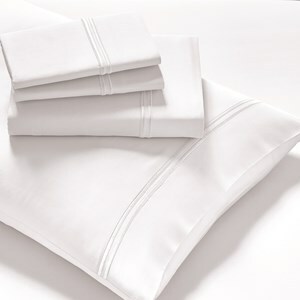 The use of raw and natural ingredients work to improve the sleep environment by offering more comfort and a refreshing feel. Bamboo rayon and long staple cotton fibers are blended together to create a soft feel. Antimicrobial protection helps deter bacteria, mold, and mildew that can damage and stain the product. Available in a variety of colors. The Elements Sheets-Bamboo collection is a great option if you are looking for Bedding in the Anchorage, Fairbanks, Sterling, Alaska area. Browse other items in the Elements Sheets-Bamboo collection from Sadler's Home Furnishings in the Anchorage, Fairbanks, Sterling, Alaska area.